LiveChat is the premium live chat solution for online businesses and e-commerce stores. It allows customer service agents contact customers directly through a website. 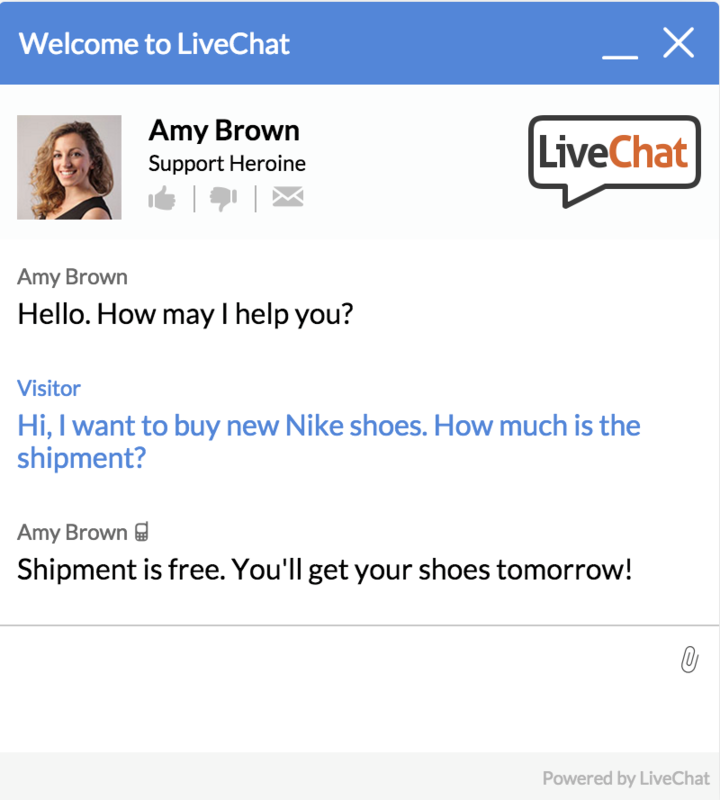 LiveChat is a premium business communication application, letting users install the chat window on their websites to instantly communicate with customers. It enables setting up automated greeting messages, e.g. to welcome users visiting specific product pages. 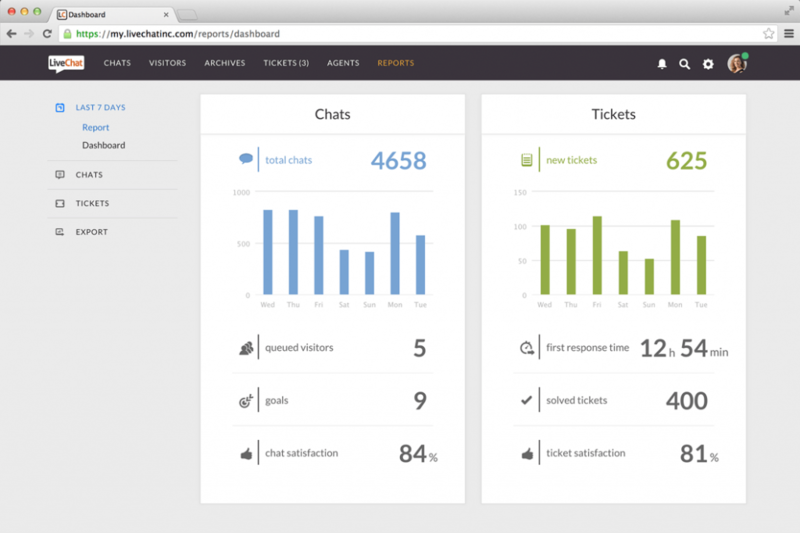 It also provides a ticketing system for more effective requests’ management. 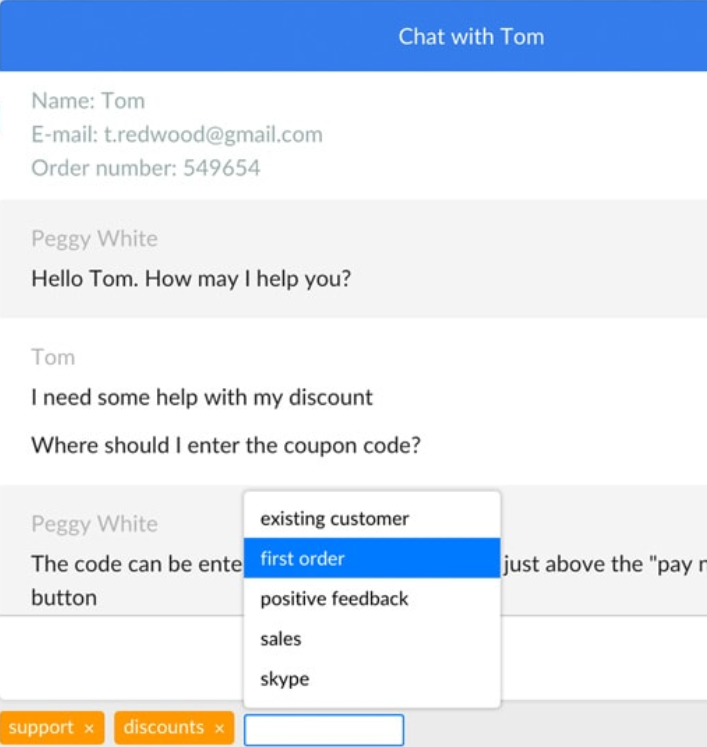 A well-designed chat window can be easily installed on any website. The chat window can be customized to match the brand’s design, using pre-defined templates and eye-catchers. 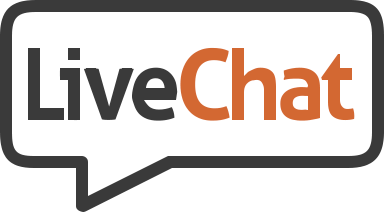 LiveChat can be used through any internet browser or using a dedicated application for iOS, Android, Mac and Windows. LiveChat integrates easily with other applications, letting you easily set-up LiveChat on your WordPress, WIX, Shopify or any other website. It also connects with over 100 different apps, you’re already using, including Facebook Messenger. With LiveChat, you can set-up automated messages, greeting visitors at the right moment, depending on their activity or a visited website. LiveChat offers a ticketing system to manage customers’ requests more effectively, assigning them to specific agents or problem solvers. LiveChat collects the data of your visitors and presents you the information about them when chatting. 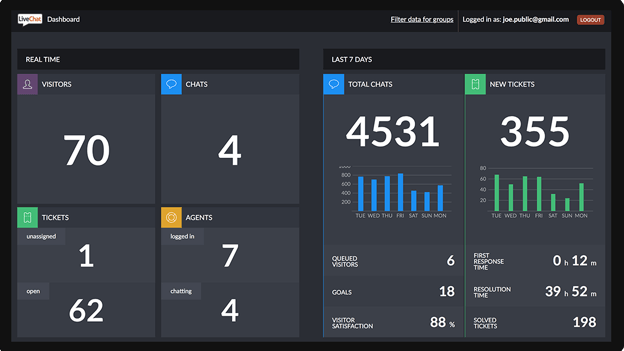 LiveChat lets you analyze your chats’ performance with well-visualized graphs and charts, providing an insight into activities like chats’ time, response speed or sales performance. LiveChat is used by companies from over 150 countries all over the word. It can be customized to offer chat support in any language.